So well-known for its breathtaking views, at the south of the historic downtown in Innsbruck is the Bergisel Ski Jump built by Zaha Hadid. 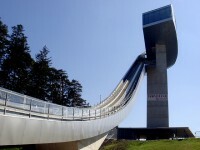 It has a glorious Olympic past but to see its ‘highest’ point which is peak at 820 feet above the city. Only for the daredevil and pro skiers who flies off at 57 mph. It is an adventure for the bravest, you need not only expertise but strong nerves also. However, you need not be a pro skier to enjoy this place. 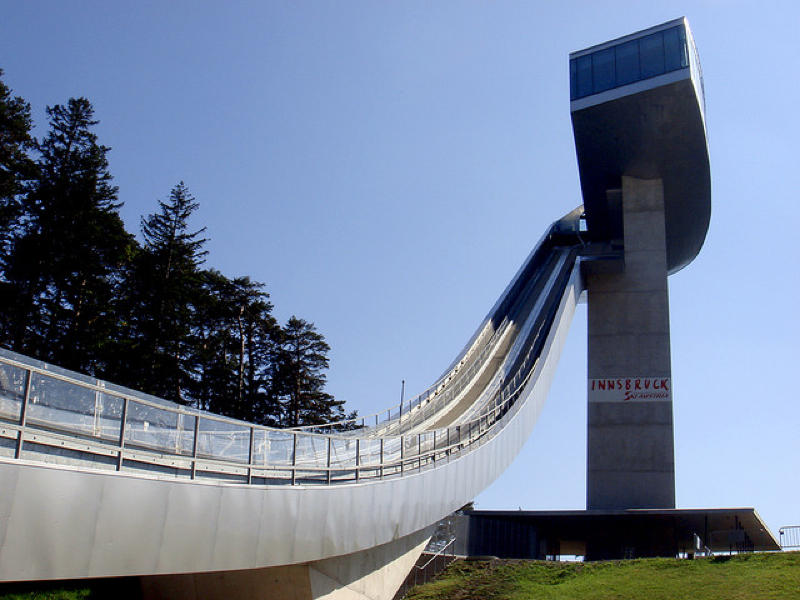 You can simply plan a trip there to catch a ski jumping tournament. The venture to the top is simply a thrill. Alternatively, enjoy a sumptuous meal with a vistas view at Bergiseltower’s Café im Turm. Most people would just take a lift up to the visitor’s platform for its incredible city view and the surrounding mountains. I would suggest a wanderer like yourself who wants more thrill and excitement to get to the steep point. Only that spot is where you can have a feel and it is exactly above the start point of the speeding lane. It is just a small balcony but enough to give you that REAL high! Getting there, you can take Nr 1 tram. The admission is at about USD 12. Opening hours is 9am to 6pm from June through October. The second highlight is the Alpenzoo, Europe’s highest located zoo on 727 meters. This is no ordinary zoo and personally I do not like zoos but this Alpenzoo is different. Firstly, it is a park that houses 2000 animals and 150 different species from the Alps. Expect to see special pygmy mice, lynx, terrapins, brown bears chamois, wolfs, the European vulture, eagles, white squirrels and adorable marine otters. The snow grouse is one of the special birds but in the walkthrough aviary, you will be spoilt to see the smaller European birds. In winter, there is a winter habitat for the reptiles such as snakes and amphibians. No one leaves the Alpenzoo without seeing the walkable alpine ibex enclosure. In Spring, it is such an attraction. 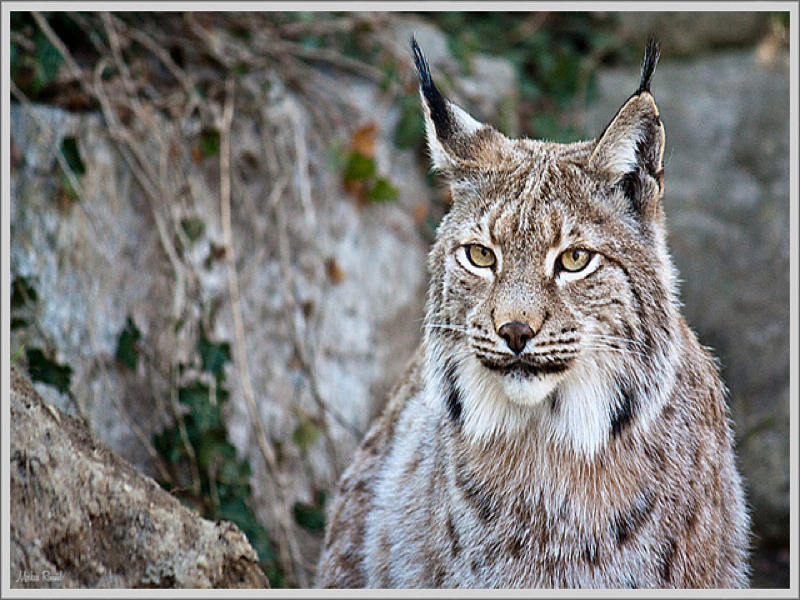 At 750 m above ocean level, it is ranked the highest situated animal enclosure in Europe. It is a great suggestion for people who like nature and especially in a family traveling together with kids. Besides you can get there from the Hungerburgbahnn funicular or by the bus shuttle service leaving from Maria Theresien Strasse, in front of the Imperial Palace in the Rennweg Strasse. 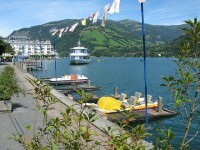 To reach there in ten minutes, you can just take the Nordkettenbahn (cable railways).